The Nationwide Insurance: Abe GT & Associates Inc. in Chicago, IL provides the following products. To learn more about each insurance product, click on the links below. Old and new cars of all makes and models should be protected with a dependable car insurance plan from a dedicated agent like Abe Terefe. Abe GT & Associates Inc. will guide you to find an insurance plan that fits your needs. We also have teamed up with Nationwide to ensure you have everything you need to protect your vehicle and everyone in it. The way you drive your car, your car's safety and security features, and where you park your car in Chicago are all factors that have an impact on how much you'll pay for insurance. In addition to these factors, we look for every available discount that you qualify for to provide you with the greatest possible savings. We may not be able to save you money at the pump, but we'll do our best to see if you qualify for discounts on your auto insurance. There are also a number of coverage options you can add on your policy, all of which we'll be more than happy to go over with you. There's no need to take chances while you're behind the wheel. Relax and enjoy the ride knowing that you've got the right auto insurance plan from Abe GT & Associates Inc.. Feel free to pay us a visit at our location at 1024 W Fry or call (312) 738-1384. Protecting your Chicago property and family from loss is just one of the goals of a home insurance plan. Offering you peace of mind both now and in the event of a loss is one of our top priorities at Abe GT & Associates Inc.. That's why we help you assess your insurance needs before they arise by taking into consideration all the specifics that affect your situation. Many factors influence your need for coverage, including having a pool or detached buildings on your property. 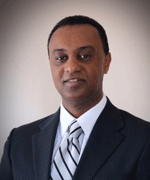 Abe Terefe will help you determine your needs and choose adequate coverage. We at Abe GT & Associates Inc. proudly work with residents in the Chicago area. We want to make sure you have the type and amount of coverage you need so that you and your family are prepared for any eventuality. We will explain in understandable language term versus permanent insurance and we will discuss the types of life insurance that can best fit your needs. As you enjoy the now, don’t forget to protect your family’s future. Life insurance gives you the peace of mind that comes with preparing for life’s uncertainties. Call (312) 738-1384 and ask to speak to Abe Terefe. We can assess your coverage needs and answer all your questions. If you are in the neighborhood, stop by any time. We are located at 1024 W Fry,Chicago,IL,60642. We look forward to seeing you. When you are a business owner, stability is likely one of your top priorities. We at Abe GT & Associates Inc. understand this, which is why we teamed up with Nationwide, a company with an excellent history of insuring businesses. We want to make sure that your business has the basic coverage it needs as well as any additional coverage to fit the nuances of your situation. No business is exactly alike, and you'll want to consider factors such as your business location, how the business is run, and your target customers or clients when you assess insurance options. If you are unsure how or where to start, Abe Terefe and our other agents may recommend that you select a businessowners policy (BOP). 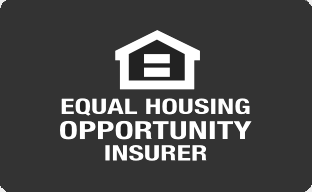 It combines property insurance, liability insurance, and other types of insurance coverage. After that, you can look at other insurance coverage options such as business interruption insurance, which can help keep your business going financially in situations such as vandalism or extreme weather. Other coverage types that may interest you include utility interruption, employment practices, and accounts receivable. We also have insurance solutions customized toward specific business types in Chicago such as dry cleaners, real estate, and plumbing. Take advantage of an On Your Side® Review to determine the insurance coverage needs of your business. We will assess your business and give you information on what you may want to cover. Give us a call today at (312) 738-1384 or stop by our Abe GT & Associates Inc. office on 1024 W Fry. The Abe GT & Associates Inc. also offers products in AZ, IL, IN, MD, MI. Please call for information on products in those states. About Abe GT & Associates Inc.
Agency is "On Your Side Certified". 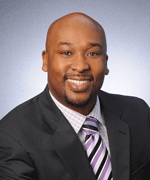 Agent, Abe Terefe has a total of 15 years experience working with Nationwide. Agent is a Volunteer board member of Neighborhood Housing Services of Chicago (NHS)Humboldt Park Neighborhood. Specializing in Chicago on Auto, Home, Commercial Insurance Non-Residential Buildings, Auto Repair Shops, Condominium Associations, and Office Buildings. Agency Delivers one and one professional, friendly, seamless service to every client. Average customer rating for Abe GT & Associates Inc.